Bombaypolis Moments is back with more!!!! 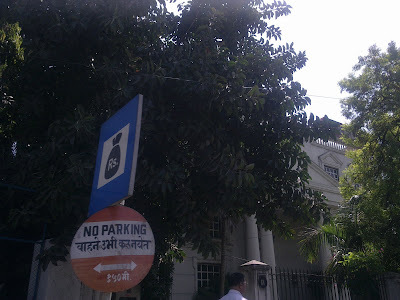 A stop for money at the HDFC Bank branch at Kala Nagar, Bandra (East)... interesting roadsign for a bank branch / ATM! 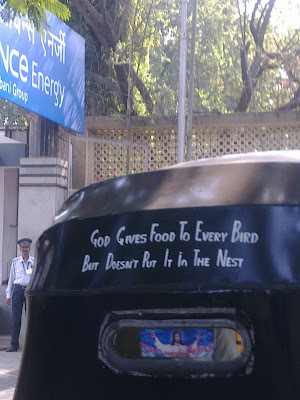 On the way to work, I saw this autorickshaw near the Santa Cruz station. 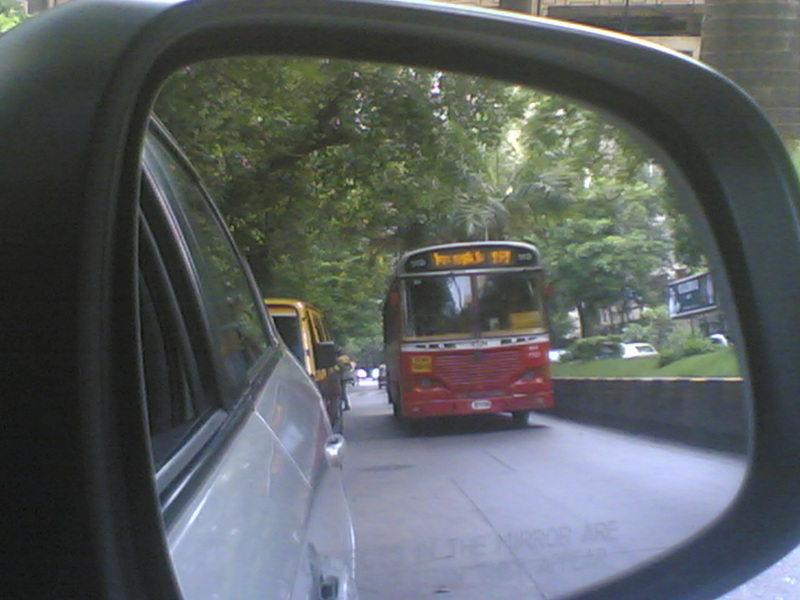 The saying made my day - made me do the extra bit! 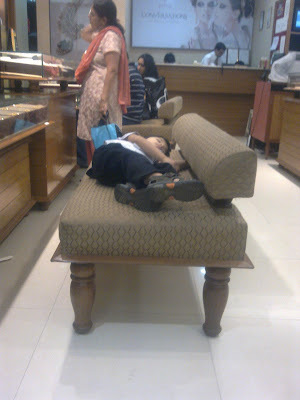 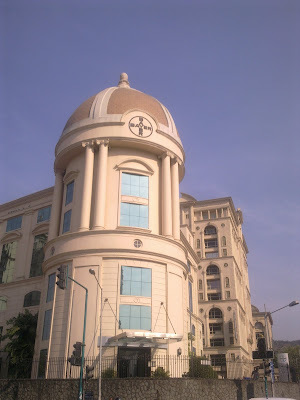 9 PM, Tanishq store at Inorbit Mall, the kid sleeps, while the mother goes bonkers over the glittering gold on display! 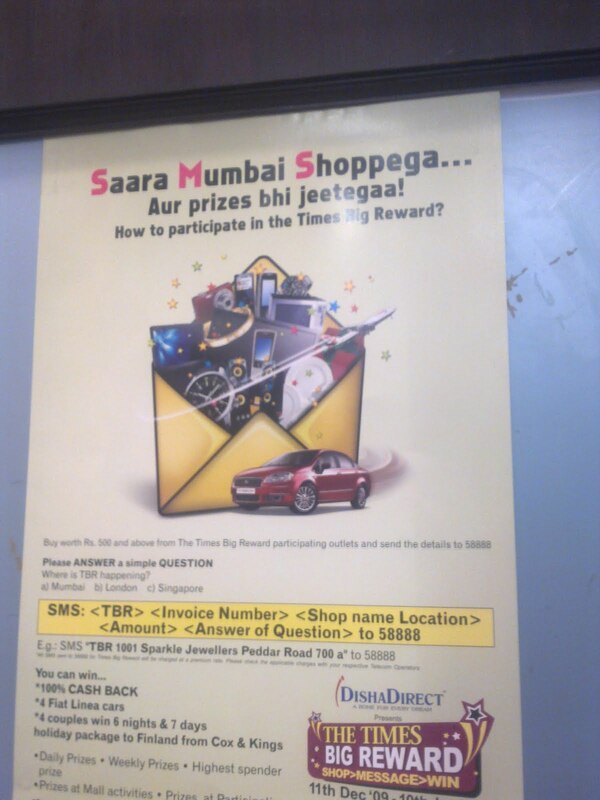 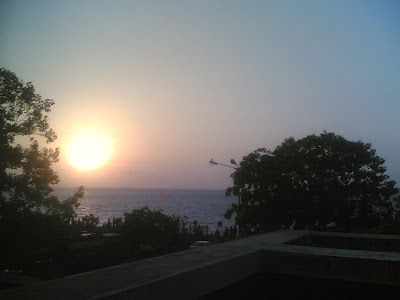 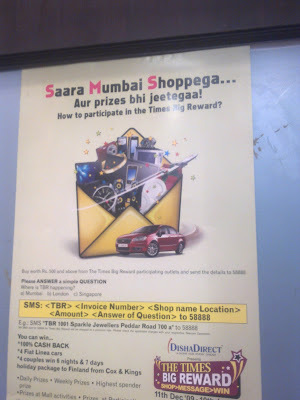 Saara Mumbai Shoppega .... That's the city's only viable recreational activity! 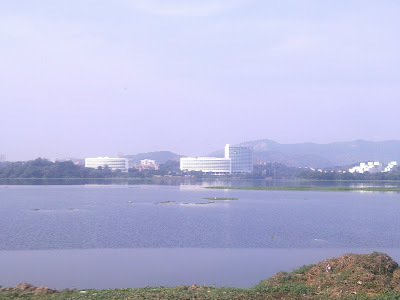 Powai Lake in all its splendour!